Standard setting social media agency, award-winning social media specialists. It’s a brave new world out there, which is yours to own. Unlock the power and potential in your brand with social media consultants who understand how to nurture communities, grow fans, build followers, and boost engagement today, while pre-empting changes tomorrow. Every day brands are told that social media can elevate their online presence, help cement and bolster relationships with new and existing customers, cause a huge stir and potentially drive more sales. Nevertheless, so many companies are still not reaping these rewards from their efforts, so where are they going wrong? The truth is, there’s no simple answer to that question, although we can say with some degree of certainty that failure when it comes to social media for business can usually be blamed on one or two fundamental causes. And these would be either a wholesale misunderstanding of why companies should be using social media in the first place, neglecting to properly plan and evaluate, or a combination of both. This means that while competition is clearly fierce in the world of online networks such as Twitter, Facebook, Instagram or Snapchat, with the right knowledge, preparation and skillset on your side, it’s still possible to make a huge impact in the digital world, even if you don’t have the kind of budget we might associate with the household names that seem to dominate this area of life. In many ways this seems like it should be a pretty cut and dry question— brands use social media to make themselves more visible online. But while this is certainly accurate, the purpose of that visibility is not set in stone. This is because one brand will not necessarily have the same target demographic as another, nor will the two always share similar business needs. Gauging these two factors is crucial to securing success with social media in the same way as securing success in the real world. As a company you need to know who you’re selling to, and how best to sell to them, before any significant sales can be expected. A business with a largely older, post-millennial clientele might opt to focus most of its social media marketing efforts on Facebook, simply because user numbers are in decline amongst younger generations, but relatively buoyant when it comes to other age ranges. Older social media users are less likely to engage in threads and discussions, and thanks to Facebook’s pitiful organic reach it’s becoming harder and harder for brands to start conversations of this kind on the platform. In contrast, the network is useful for garnering customer reviews for a business, and linking established fans and followers back to your website via shared content, which includes a URL link. On the other side of the coin you have the likes of Instagram, which claims an enviable reach amongst those under the age of around 35- AKA the millennials. This platform is far more useful for generating sentiment around a brand, because it does not facilitate posts linking to a website, instead focussing on encouraging comments and shares. One of the biggest challenges facing any company using social media is keeping abreast with developments taking place on the networks themselves. This is because the only constant when it comes to the platforms themselves is change— by nature they need to constantly update themselves or risk losing people’s interest. There’s no simple way of making sure you are always ahead of the social media pack. It requires a lot of experimentation with your own accounts, not to mention research, using industry news sites and other online publications to gain an insight into what’s been, what’s happening and what’s coming up next. However, making sure your brand is kept up to date is half of the battle itself. The more you understand what’s possible, the better and more unique your ideas can become, helping you stand out amongst the competition. Major network changes— such as when Facebook introduced autoplay News Feed videos, or Instagram’s Shop Now button— are great examples of platform updates that have gone on to direct, if not dictate, what kind of social media content brands are using, for obvious reasons. Innovation with social media doesn’t start or stop with updates to the networks, though. People are constantly conceiving out of the box ideas by approaching these platforms with a fresh set of eyes, and looking at what can be done with their functionality, not just what has already been tried and tested. 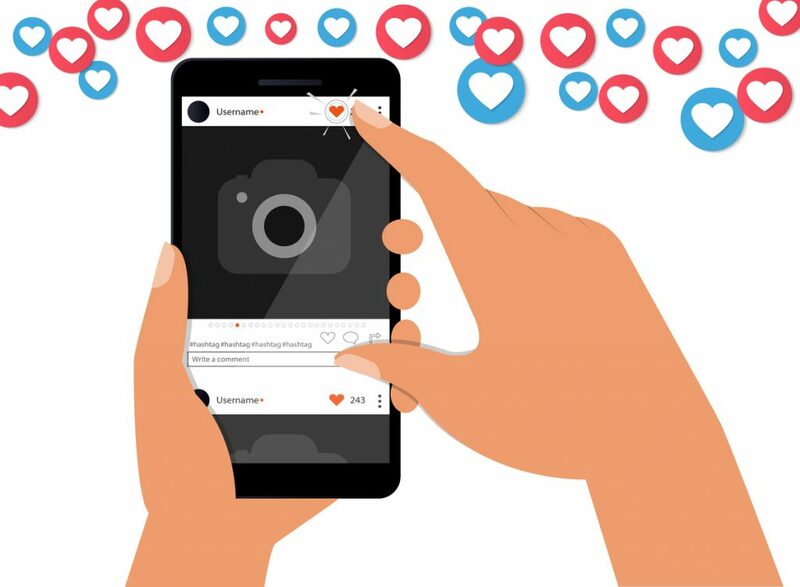 In many ways, simply rehashing standard brand campaigns on social media is actually an incredibly risky way to allocate resources and budgets. As we already discussed, each network is different, and every brand is relatively unique when it comes to target markets. So, it will only pay dividends to look at social media success stories within the context of how they can be adapted and developed to suit your own individual requirements. How can social media work for you? In a nutshell, social media can work for any brand in a number of different ways. Here at Smoking Gun we have a strong track record in leading on social campaigns for a variety of different brand partners, each with specific needs and goals. It would be impossible to reference even a small proportion of the work we have done, but below are some great examples that shows the scale of impact possible when you take all the points we have highlighted above into consideration. Complete management of your accounts, increasing response time, interaction and effectiveness. Drive brand awareness with bespoke competitions, surveys, stunts and more. Use dedicated experts to deliver top level digital marketing assets, from photography and video, to design and copywriting. Employ the ultimate defence against negative sentiment by leaning on our experience to win back customer loyalty. Have the confidence to take full ownership of your channels with the peace of mind offered by clear and concise rules of thumb for staff. This includes best practices, codes of conduct and damage limitation briefing. Ask our social media specialists to deliver no-nonsense reports that help you see where there is room for improvement. The best tool in developing a robust, future proof digital plan. Make your team like our team, arming them with the knowledge and understanding to effectively bring social media in-house through our range of on-site and out of office workshops. Oven Pride asked us to get to work raising awareness of the link between Easter and its oven cleaner - remembering the brand’s tongue-in-cheek tone of voice - and in turn drive sales. We jumped to social media, and looked to the then-new US President for some witty, and tasty, inspiration, winning a CIPR PRide award in the process. Bed retailer Silentnight wanted to ensure it didn’t get lost in the festive madness and remain front of mind with consumers, ahead of the important January sales period. Oven Pride wanted to raise its profile amongst a relevant, national audience. Here’s how we ensured the brand did just that.